Whether you're brand new to content marketing or years into the business, keeping a running list of resources you can use to stay updated on your industry, its trends and key voices is critical. In a field growing as constantly as this one, it's important to keep yourself up to date on the best practices, applications and industry thought available --which is why we've worked to compile a list of resources we at EYEMAGINE find invaluable. 1. Hubspot - marketing automation experts who can help you understand the systems and ideas behind a quality content marketing strategy. 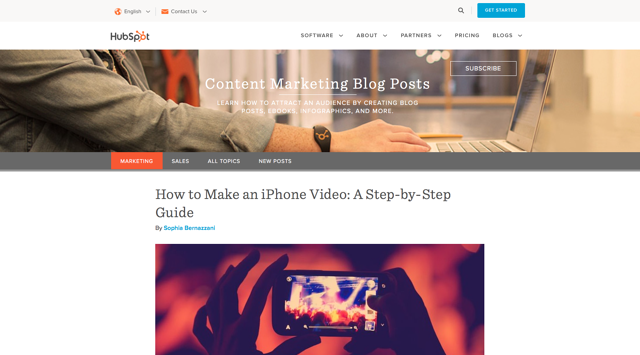 Their blog is full of a wealth of resources on how to market (and create) content well. 2. The Content Marketing Institute - a gigantic hub of content resources showcasing what exceptional content looks like. 3. Influence & Co. - a marketing firm that specializes in content marketing thought leadership and ideation. All the best from company leaders on what content marketing does for them, as well as the thought strategy behind content marketing. 4. 7 Habits of Successful Content Marketing by Inc. - Published in 2016 by Inc. Editorial Director Michelle Manafy, this piece overviews what it takes to be the best at content marketing. Its a good place to start to get a general overview. 5. The Content Strategist Blog by Contently - With an overarching company strategy of helping brands create great content at scale, this blog is filled with informational tidbits that anyone can use to learn more about everything from the industry in general to what the very beginnings of a good content strategy looks like. 6. 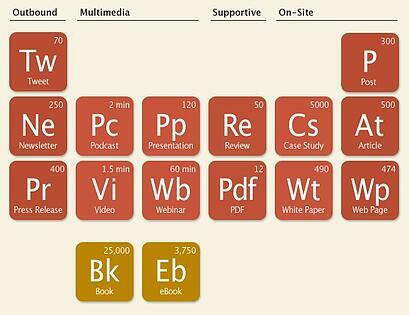 The Periodic Table of Content by Orbit Media Studios - an original look at all the components that make up content marketing and creation, this "periodic table of content" is a useful visualization of all the parts that make up a successful digital strategy. 7. Contentools - An all-in-one tool that helps you collaborate with your content marketing team, Contentools is useful for planning everything from strategy to marketing. 8. CoSchedule - Filled with great beginner articles that can teach you how to do everything from creating an editorial content calendar to getting eyeballs on your work, this blog is a must for anyone just starting on their content marketing journey. 9. Outbrain - Outbrain hosts a great blog for understanding the realities of content marketing strategy. 10. Sujan Patel's "How to Build a Content Marketing Plan in 10 Days" Ecourse - a free online course you can take to help you create an effective content marketing plan in just a few days. Its a great tool for those just starting out, or even freelancers on a budget. 11. Marketing Land - Lead by search journalist Danny Sullivan, Marketing Land's Content Marketing Channel provides a great wealth of information about internet marketing, marketing issues and the online marketing industry. 12. Trello - Depending on your business needs, Trello is a fantastic tool for organizing your main ideas board and content calendar that allows you to plan weeks and even months in advance with your team members. 13. TopRank Marketing Blog - Started in late 2003 by Lee Odden, TopRank's blog provides insights, resources and commentary on a range of digital marketing and public relations topics, from influencer and content marketing to online public relations. 14. 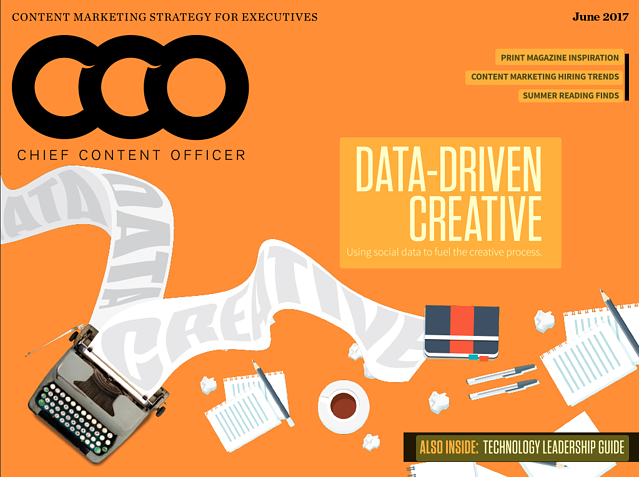 Chief Content Officer Magazine - One of the rare print/online magazines dedicated entirely to the ever growing and evolving field of content marketing, this magazine is a great resource to keep you on top of industry news and trends. 15. Kissmetrics - If you are looking to understand the more data-driven and numeric engagement side of content marketing, Kissmetrics has an array of data and content marketing blogs that can help you along the way. 16. Scripted - In need of writers to create the content for your strategy? Scripted is a subcontractor site dedicated to helping you comission an online writing team to write, copyedit and even request pitches from writers. 17. Wordy - Perfect for smaller businesses, Wordy pairs you with professional content editors to edit, proof and optimize various forms of your original content, saving you the time and effort of finding (or hiring) an entire writing team. 18. Curata - Curate, plan and measure your content's imact with Curata's content marketing platform--including strategy, production (workflows, calendaring, etc.) and comprehensive analytics. 19. Canva - a simple, intuitive tool for creating graphics for any number of content posts, from blogs to email content. Even if you're a beginner, Canva is a good place to create simple graphics that don't require your design team's efforts to create. 20. Mediaplanet - A company that designs their content to inspire readers to take action, Mediaplanet a great place to visit if you are looking for a shining example of what great content marketing looks like. 21. NewsCred - Designed to help marketers create effective content and engaging stories, Newscred offers an easy-to-use platform that streamlines the marketing process, from audience insights and content recommendations to distribution and analytics. 22. Moz - If you're looking for a keyword research tool to help you build a more effective content stategy, Moz provides a wealth of resources, keyword suggestions, and tools for analyzing their success over time. 23. 7 Headline Writing Links You Shouldn't Ignore by CopyBlogger - Never underestimate the power of a good headline. These resources will help you create the finest one. 24. Quora - A Q&A site where you’ll find people actively asking and answering questions on topics, Quora is a perfect resource to not only finding answers to the questions you're writing about, but posing questions you can't find the answers to already. 25. Infographics by Marketo - They may not be classic "how-to" blogs, but these infographics are great ways to digest some larger content marketing topics (and conceptions!) that will make you a better content marketer and creator overall. 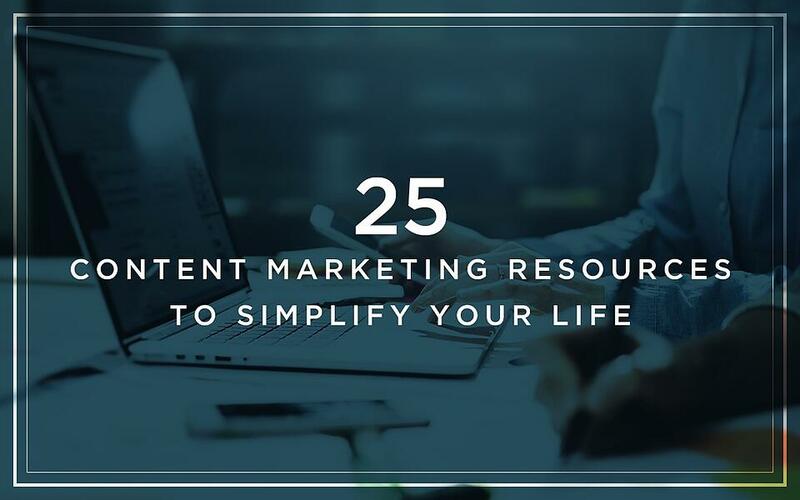 While this is far from every resource you as a content marketer could have, its a great place to start! Happy marketing.